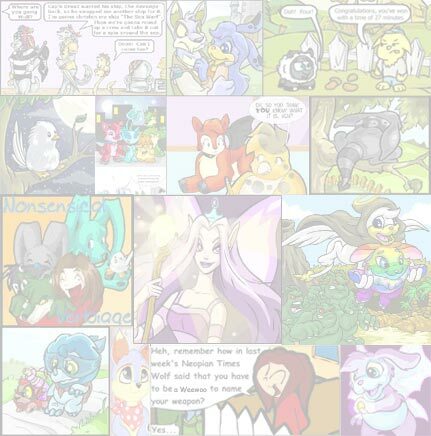 The Neopian Times Week 107 > Short Stories > Give my Regards to Neopia! Author’s note: As silly as this sounds, this story is better to read aloud or sung as it supposed to be a play/musical but Neopian style, of course. It isn’t necessary but I recommend it for full reading enjoyment. Presenting from plushieowner productions 'Neopia! The Musical’. Hope you enjoy it! I would just like to point out no Chias were harmed during the making of this play. Spectre as the ‘egotistical’ Times Regular. Capara as ‘thoughtful and understanding’ Snowflake. Fernypoo as the ‘dreamy and determined’ Times Wannabe. Kalora as the ‘always and fed up’ Rejected Author. Plushieowner as the‘boring but necessary’ Narrator. Brucey B as the ‘hard working’ Mister Pickles. “Welcome to the show! Nights, cameos, reaction! I think someone is going to be fired today. 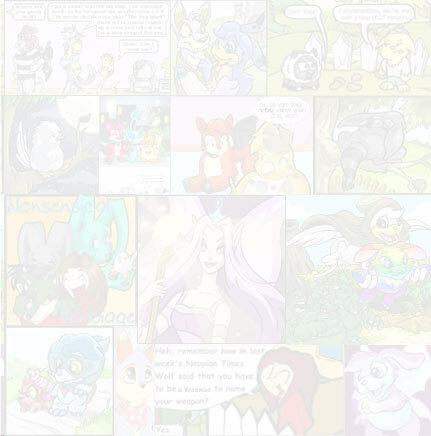 To make Neopets a better site. Her job isn’t really a piece of cake. And especially when some authors insist on getting in her way. Can’t they deal with a little rejection. It’s not like she wants to make people sad. Authors bugging her until she hits the floor. Picking the best is her mission. “But sometime in the day, disaster struck. Looks like the automatic email system had become corrupt. “Not enough submissions,” she screamed. Luckily it was spotted and fixed. Pondering how could this happen. Mister Pickles, you don’t know this man? With not many submissions to go through and pick. There’s nothing but the rain. “Fyora’s sake! I didn’t think to bring my umbrella!” Though I think I left it with that ‘obsessed with asparagus’ fella. She starts to tap her feet. Lupes, leave those Chias alone! And he ain’t no pal of mine. “What!? You say I hog the times? You are green with envy? Because you trophy count aren’t high as me. Just look at my fan mail filled inbox. With an ego that is corrupt. I tried really hard to write it! Ms. Snowflake, I want to be no exception. Look at my submission? Don’t even bother. Let me please just apologize. Come on, stand up and rise. The Times won’t disappear any time soon. Writing stories of pure fiction. I’m Neopia’s best, stop denying. But you already have enough trophies. Isn’t that enough? Give some other authors a chance, you are being a bit rough. Authors will laugh at wannabes when they aren’t funny. “Doesn’t matter. I’m not too disappointed Snow. What’s that saying? “Submit me, once more”. I’ll be submitting more in a week or two. I just want my name in the NT Search file. “I’m getting published in the morning! Ding dong, I’m been waiting ‘oh’ so long. “Congrats, I’m so happy for you! “Um, no idea? Why do you ask? Doing some kind of task? “I’m here, to inquire about my predicament, I guess. To the staff member in the pretty white dress. For once, the Times is out but I’m not in. I can’t get no... PUBLICATION! From a herd of angry authors he needs to flee.